What can www.CausesFunding.TEAM does for your Charity? CausesFunding.TEAM collects referral contributions by Retailers from Volunteers everyday online spending (over 1,500 Top retailers). I. Volunteers pick up to 5 charities from over 6,360 to give 50% of the retailer’s net contributions. Every time a Volunteer shop online the selected Charity will receive a donation. II. Charities can create a TEAM, (sign up with a charity email) promote among their Volunteers to join the program an start collecting extra money from their TEAM shopping and it will be a lifelong fundraising program with NO investment or cost. CausesFunding.TEAM has pre-register Charities in our records to receive donations, if the charity you represent is not in our database, please register to start generating contributions to your cause. Register a new Charity into CausesFunding.TEAM database! How can Charities Double Donations! International Volunteers & Charities are welcome to participate! Your Charity needs help to fundraise contributions? 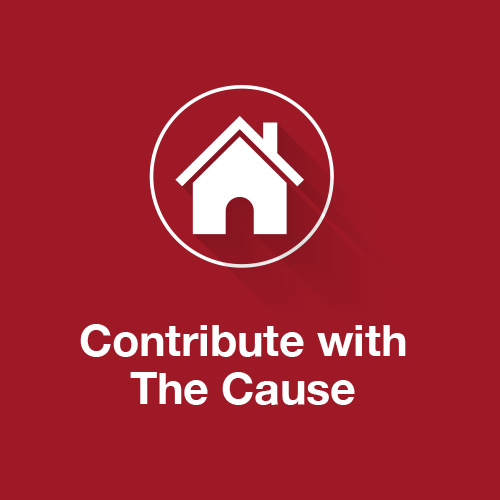 A.- www.CausesFunding.TEAM has developed the first-ever Donations Referral Program. What you Get form Giving? – Help yourself by helping others. Causes EARN contributions from volunteers everyday online spending. We support causes to create a network of volunteers that donate Referral Contributions and build a TEAM of Volunteers with their Friends & Family and the friends-friends. B.- CausesFunding.TEAM has negotiated with hundreds of partner Retailers, and something significant is that cash donations are additional money to the Volunteer current Loyalty, Points, Miles or Cash Back programs. C.- Build an effective Volunteer Program and diversify fundraising sources into a permanent and exponential growth program. CausesFunding.TEAM is a professional approach to a volunteer fundraising program. What are the Volunteer or Cause Costs to join the Program? NONE, sign up and if you want, recommend Friends. Volunteers log into and search by Store, Deals or Product, click, and you will be contributing and take advantage of daily updated Deals, Coupons and special offers from our Partner Retailers. D.- Another easy but powerful way to bust your cause contributions is for Volunteers to recommend friends and family to join CausesFunding.TEAM program using the TEAM Builder Tool in the Platform to manage the process. * Causes can Register as a “Volunteer” to create a TEAM and receive Double donations to the Cause (as Volunteer & as Charity). E.- Let me give you an example when a volunteer book a trip thru CauseFunding.TEAM platform with its favorite online travel agency as a volunteer, CausesFunding.TEAM receives around 4% as a referral fee. Volunteers can shop from thousands of top brands and all kinds of products and services like Electronics, Home Appliances, Clothing, Pharmacy, Fragrances. Something important is that they buy directly from Retailers. Leverage your Volunteers effort to build a true Global Community thru CausesFunding.TEAM Program and expand your Cause role in the community thru effective communication. F.- Referral Fees Distribution: after CausesFunding.TEAM expenses the remaining contributions goes 50% to up to 5 charities picked by the Volunteer and the other 50% to the Volunteer and her/his TEAM. Engage Causes Leaders in promoting among Volunteers innovative forms of fundraising while stimulating Volunteers. CausesFunding.TEAM works with your Cause to create a Fundraising case model based on your Vision and set and monitor metrics to achieve goals. G.- The Program attract and retain the next generation of Volunteers (Digital) to your Cause. Develop Volunteers education and conscience related to the needy. CausesFunding.TEAM follows Charities Ethical guidelines and a strict code of ethics and will donate part of the transactions to registered and qualifying Charities. Your Cause should touch lives to generate Philanthropy and CausesFunding.TEAM is the Program and Marketing support to archive it. NonProfit Organizations – Tough Competition over Donations! Public Charities reported 1.74 trillion in revenues and 1.63 in expenses / over 3 trillion USD in total assets. CausesFunding.TEAM attracts and retain the next generation of Digital Volunteers. 25.3% of Americans over age 16 volunteered through an organization. Charitable contributions reached 390 billion a new record high! Millennials are the new generation of volunteers, they shop online and understand the power of the Digital Era. They are key to your Charity fundraising strategy. A lot of things about the internet that older people don´t understand, they do! There are 1.5 million Charities and Non Profit Organizations in the U.S. if you are a Tax-Exempt organization by the I.R.S. 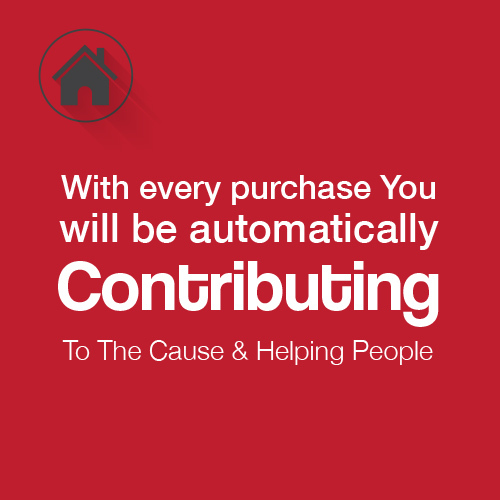 we welcome you to participate with CausesFunding.TEAM and increase your donations at NO cost. If you have any doubts or comments do not hesitate to contact us!